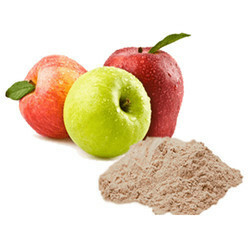 We are a leading Manufacturer of apple powder, banana powder, beet root powder, custard apple powder, grapes powder and papaya powder from Nashik, India. 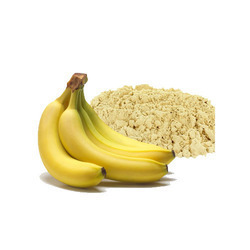 We offer our customers with best quality Dried Banana Powder that are rich in taste and flavor. We offer these Dried Banana Powder in various specifications and ensure the packaging is done in an effective manner to avoid wastage during transportation. The range is available in dried form and also packed under hygiene conditions so that they are free from moisture. 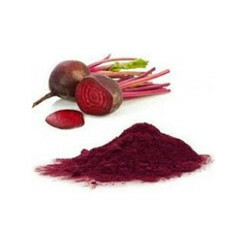 Beetroot powder is rich in antioxidants, dietary fiber, calcium, iron, potassium, folate and manganese, along with other nutrients. Perhaps most remarkably, beets are naturally rich in nitrate, compounds that can improve blood flow and lower blood pressure, leading to notable health benefits. Custard apples, also well known as 'sharifa' or 'sitaphal' in Hindi, 'Seetha Palam' in Telugu, 'Seetha Pazham' in Tamil, 'Sita Pazham' in Malayalam, 'Sitaphala' in Marathi, 'Sita Phal' in Gujarati and 'Sharifa' in Punjabi. 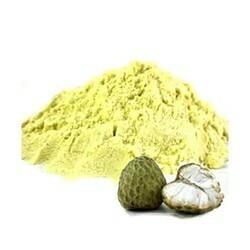 Custard apples are rich in anti-oxidants like vitamin C, which help get rid of free radicals from the body. It is also rich in calcium, magnesium, iron, niacin & potassium. This post on benefits of custard apple will change your mind.The fruit can be consumed just by itself or in the form of shakes, smoothies, deserts and ice cream. Moreover, this tasty fruit is an excellent alternative to dairy products, making it perfect for those who are allergic to dairy products as it provides the same nutrition. Healthy Skin and Hair, Healthy Weight, Custard Apple During Pregnancy, Prevents Asthma, Prevents Heart Attacks, Aids Digestion, Excellent For Diabetics, Controls Blood Pressure, Reduces Cholesterol, Treating Anemia. Papaya contains a special digestive enzyme called papain, which is why it is most known to be a powerful digestive aid. But improved digestion helping the body to detox isn't the only benefits of papaya- it can also help the body to heal wounds, to reduce inflammation, to purify the blood.High In Fiber Papaya is a great source of dietary fiber This nutrient absorbs toxins in the colon that can cause cancer and eliminates them from the body through bowel movement. Due to its rich fiber content, papaya aids digestion and imparts a beautiful glow to your skin. Moisturizes Skin, Anti-inflammatory, Strengthens Blood, Helps Prevent Cancer, Protects Against Arthritis, Prevents Asthma, Anti-aging,Reduces Wrinkles, Reduces Under-Eye Dark Circles, Cures Eczema And Psoriasis, Treats Melasma, Removes Tan. Mangoes are abundant during the summer season. Mango is widely known as the "king of fruit", and that is not without a purpose. It is regarded as a valuable item of diet and a household remedy. 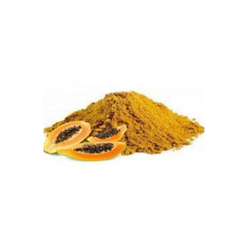 It is rich in amino acids, vitamin C and E, flavonoids, beta carotene, niacin, calcium,, iron,magnesium and potassium. Mango leaves help normalize insulin levels in the blood. Boil a few mango leaves in water and allow it to saturate through the night. Consume the filtered decoction in the morning for diabetic home remedy. The glycemic index of mango is low, ranging between 41-60. So, mango does not have any significant effect in increasing blood sugar levels. Mangoes are beneficial for pregnant women and individuals suffering from anemia because of their iron content. Also, vitamin C in the mango enhances the absorption of iron from vegetable food like rice. Generally women after menopause become weak and they should take mangoes and other fruits rich in iron.Mangoes are useful to children who lack concentration in studies as it contains Glutamine acid which is good to boost memory and keep cells active. 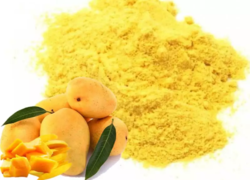 Usages Prevent Cancer, Prevent Heart Disease, Help Lower Cholesterol, May Help Treat Diabetes, Improve Digestion, Mango During Pregnancy, Aid Weight Loss, Help Prevent Asthma, Improve Eye Health, Promote Brain Health, Regulate Blood Pressure, Improve Immunity, Boost Bone Health. Pineapple is an excellent source of vitamin C and manganese. It's a very good source of vitamin B1. It's a good source of vitamin B6, copper, magnesium, and dietary fiber. Bromelain is is a proteolytic enzyme (enzymes that digest protein) found in pineapple, and to a greater extent in pineapple stems. Pineapple is a digestive aid and a Natural Anti-Inflammatory fruit. 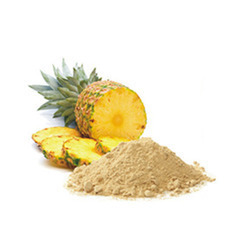 A group of sulfur-containing proteolytic enzymes in pineapple aid digestion. Fresh pineapples are rich in bromelain. Bromelain has demonstrated significant anti-inflammatory effects, reducing swelling in inflammatory conditions such as acute sinusitis, sore throat, arthritis and gout, and speeding recovery from injuries and surgery. Pineapple should be eaten alone between meals.Pineapple could be useful for women suffering from painful periods. Choose ripe fruits of good colour for pineapples do not become sweeter on storage if they are picked green. This is because the starch in the stem is taken up into the fruit and converted to sugar only at the final stage of ripening. Eye health, Pineapple Strengthens Bones, Pineapples are used to help cure bronquitis and throat infections. It is efficient in the treatment of arterioscleroses and anaemia, Pineapple is an excellent cerebral toner; it combats loss of memory, sadness and melancholy, Due to its high vitamin C content, pineapples are good for your oral health as well. Vitamin C can reduce your risk of gingivitis and periodontal disease. Vitamin C also increases the body's ability to fight invading bacteria and other toxins that contribute to gum disease. The name 'sapota' might not be familiar to most of us. Sapota is another name for the fruit better known as 'chikoo' or 'chiku' in Hindi, 'sapota' in Telugu, 'chikku' in Marathi, 'cappotta' in Tamil and 'sapeta' in Bengali. When we say sapota, we are basically referring to the tropical evergreen tree that bears this fruit. 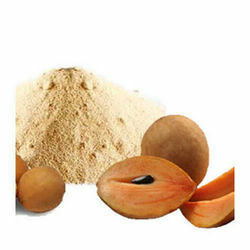 Sapota is a delicious calorie-rich fruit belonging to the category of fruits like mango, banana and jack fruit. Its other names are nose berry, sapodilla plum, chickoo sapote etc. Chiku is endowed with minerals such as potassium, copper, iron, folate, niacin, and pantothenic acid which are good for many metabolic body activities. Sapodilla is having vitamin E, vitamin A, vitamin C, and vitamin B complex. 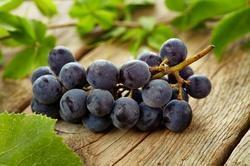 These vitamins and antioxidants boost immunity of the body and also good for hair and skin. Chikoo is known to be effective in curing constipation,improves mental health, treats hemorrhoids, prevents water retention, prevents cancer, provide nourishment for hair and scalp. Looking for Spray Dried Powder ?